On February 2, 2019, the Law Enforcement Joint Forces Task Force of the Ukraine announced the completion of an investigation into the production and sale of tainted alcohol. The investigation which began in the Autumn of 2018 was completed in late January 2019 with the execution of search warrants at several warehouses. 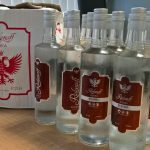 The warehouse raids centered in the Bakhmut and Kramatorsk, Donetsk region revealed the bottling and packaging facilities for this bootleg alcohol gang who was specializing in the production of a locally favorite alcohol labeled КРАЛЯ translated to English as KRAL. The seized production facilities of this tainted alcohol enterprise included 1347 cases of 10 – 1-liter bottles ready for sale and distribution. Also seized was an astounding 205 tons of ethyl alcohol along with 20,000 excise tax stamps. The report by the Joint Forces Operation (JFO) press center is estimating the value of the seizures at $1 million. Fake КРАЛЯ Vodka brand labels. The fake alcohol was packaged and sold below retail value. 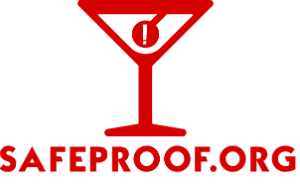 SafeProof.org reached out for comments and explanations to Vitaliy Sarantsev, Head of the Ukrainian Joint Forces Operation (JFO) press center who said that this tainted alcohol gang was targeting a particularly low-cost local alcohol brand whose primary customers are the poor. “This brand is mainly used by manufacturers of low-quality alcoholic beverages. It is in demand only among the poor people. It is a brand of Vodka made from low-quality alcohol. This vodka has demand only because of the low price. On average, a bottle of vodka in the store costs 90 UAH (Approximately $3.34 USD). Counterfeit vodka can cost 50-60 UAH ($1.85 to $2.22 USD), and sometimes less.” Vitaliy Sarantsev told SafeProof.org in an online interview. Mr. Vitaliy Sarantsev, also revealed that the investigation into this illicit alcohol gang was begun because of excise tax disparities in the amount of KRAL being sold and the tax being submitted for its sale.